When decorating Harrison's nursery, I was determined to have nothing garish, which is easier said than done in the world of nursery decoration. Since we knew we were Team Blue from the get-go, we had the option of decorating with a boy in mind, but a lot of the blue accessories were just too bright and out there for my liking. I wanted white and baby blue, as understated as possible, and that was about it. Unfortunately for us, it's hard to find a nappy bin that can be described as understated. It's not exactly what people look for in a bin for poo'ey nappies, so I can understand why they are few and far between. When Cheeky Rascals' offered to send us one of the new Korbell Nappy Bins to review - I all but jumped at the chance. 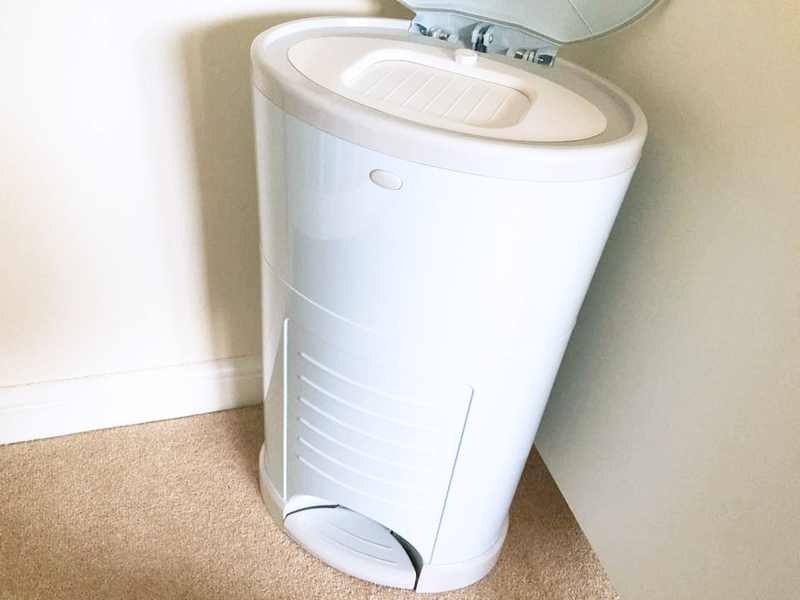 The Korbell Bin is marketed as being innovative, eco-friendly and the only hands free nappy bin currently on the market right now, which is brilliant if that's what your looking for. I don't know about you, but for me, all I really cared about was how it looked, and whether or not it managed to diminish that undeniable newborn nappy smell. 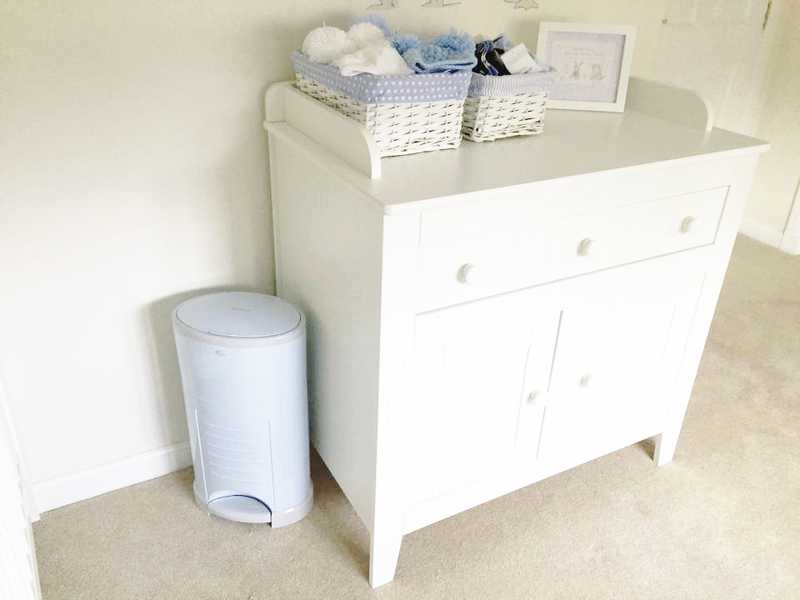 The thought of having nappies stewing in an open lid bin doesn't quite sit right with me - by using a dedicated nappy bin, the nursery can be kept clean, hygienic and by using a bin as discreet and subtle as the Korbell one, decor isn't disturbed. 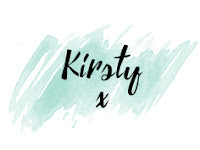 This new release of bins come in three colours - pastel blue, mint green and soft pink - we chose the pastel blue in the hope it would be light enough to be in-keeping with the nursery. When it came, I was extremely impressed by the quality and the design of it. It's simple, it's not identifiable as a nappy container, and it does the job... what more could you want? We've got the Standard 15 Litre bin - this holds up to 45 nappies at any one time, without smelling at all. This retails for £27.50, which I thought was a brilliant price for what you get, or at least I did before I looked into the cost of the liners. The bin comes with one liner pack already within - and this should last for 10-11 weeks depending on how many nappies we go through, but it should be remembered that liners are around £12, depending on where you buy them from, and you may have to buy a few over the course of using the bin. Still though, it's really not that much in the long run! One of the things I love about it is the fact that everything can be done one handed, so for me, with a newborn that hates being put down, I can finish off the change with Harrison still cradled in one arm, and everything's done without stress. It really is just one of these products that you would overlook, but that I think I'd hate not to have. - Aesthetic: I've rambled enough about how much I like the look of the Korbell range, but it really is what drew me to it in the first place. Not many people want a bin that actually looks like a bin, and anything pastel is a tick in my book. - Ease of Use: The ability to use with only one arm (or a foot if your skilled) makes sense for any parent, and the fact you can store up to 45 nappies in there before having to even empty the bin is extremely convenient, especially for the lazier ones out there, like me. - Price of Bin: For £27.50, I can't really complain, especially for something that both looks good but that does a job effectively as well. 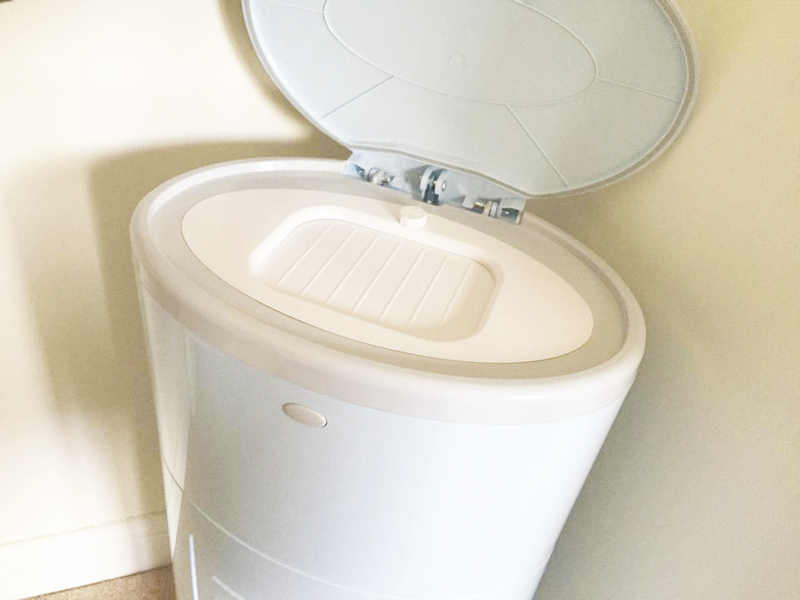 - Liner price: I just didn't read the specification properly when I chose the bin - I forgot you will always have to buy liners for a nappy bin, unfortunately it seems to just be the case with any brand, the liners are what cost the most. They are only £12.00, so not overly expensive, but given that this is half the price of the bin, it's annoying to have to spend that every few months. On the flip side though, it is only every few months, I'm probably just being a typical stingy Scot' and grudging a tenner!